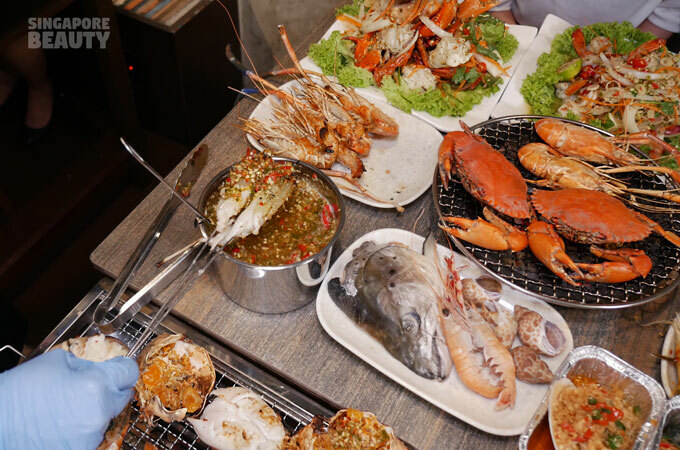 New Thai Tanic Barbeque has launched a whole new way to enjoy seafood buffet. 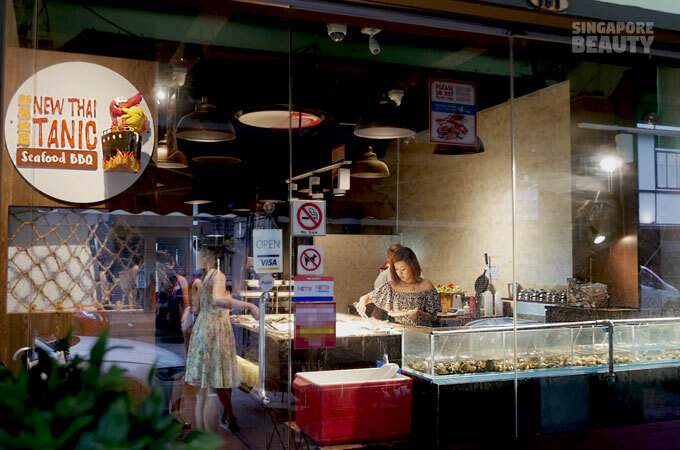 Look out for their 30 mins specials – freshly grilled fishes and curated roe dishes on a barbeque cart. 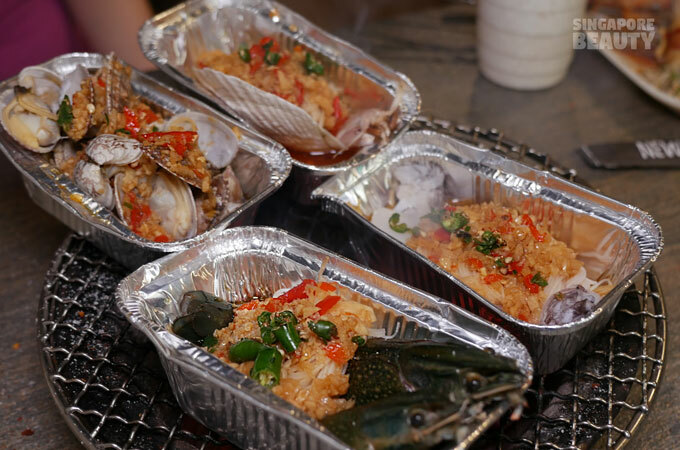 These are prepared by the in house Thai Chef with authentic Thai recipe with a local twist. 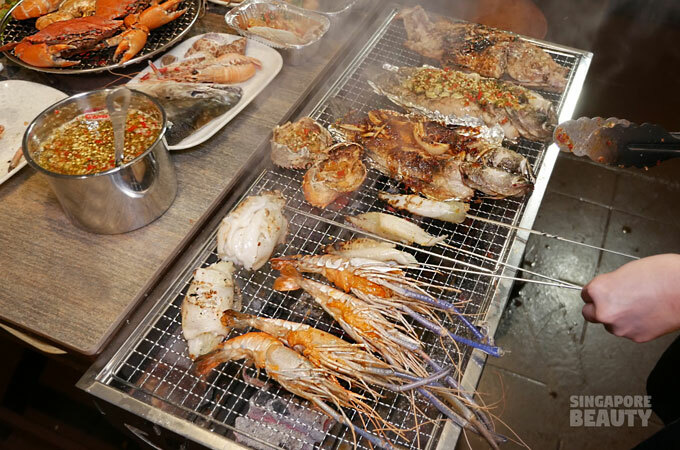 New Thai Tanic uses live sea bass and live Tilapia for these barbequed fishes. 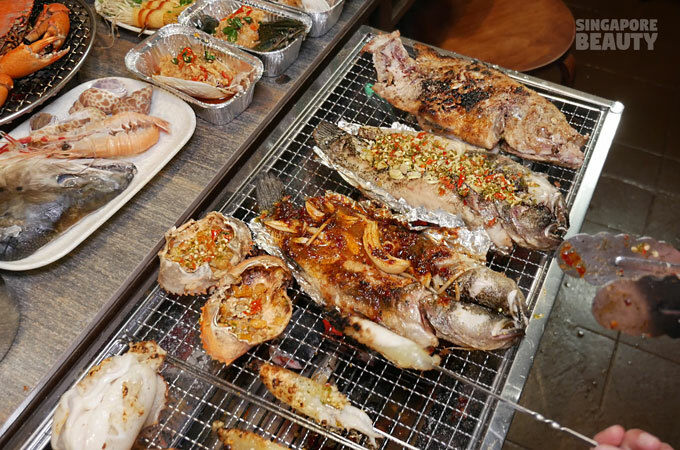 Get a whole barbequed sambal sweet onions or a lemongrass butterflied sea bass right off the grill. The flesh is juicy and tender in slightly sweet briny gravy from the fish. 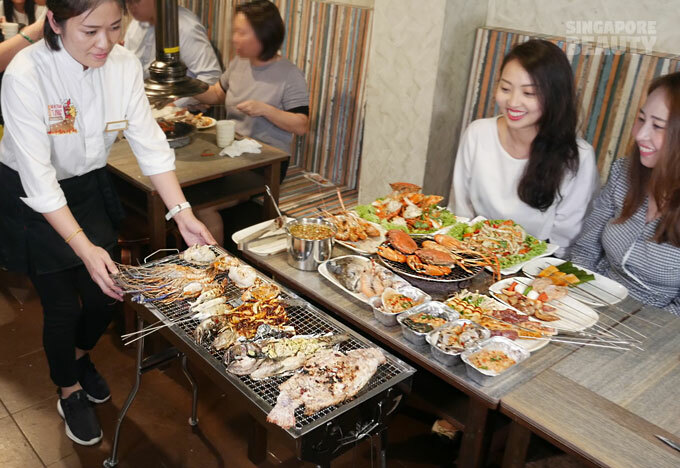 Or you can go for the pla pao – salt crusted lemon grass grilled fish. 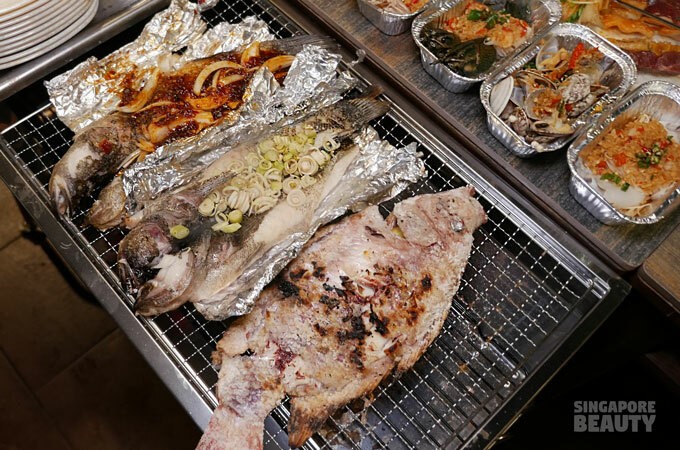 These fishes are so fresh you can taste the difference. 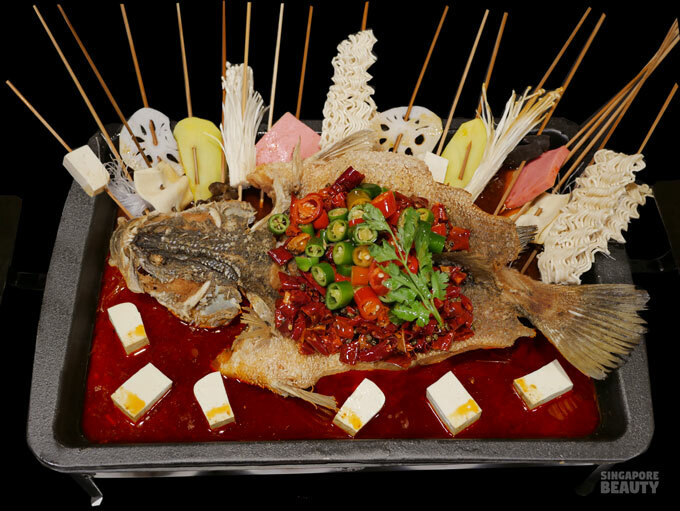 New prized items such as barbequed crab roe, river prawn roe and squid roe are introduced into its buffet menu. The best way to eat these prawn roe are with your hands, they do provide gloves too. These handpicked prawns with roe are prized for their creamy and custardy texture. 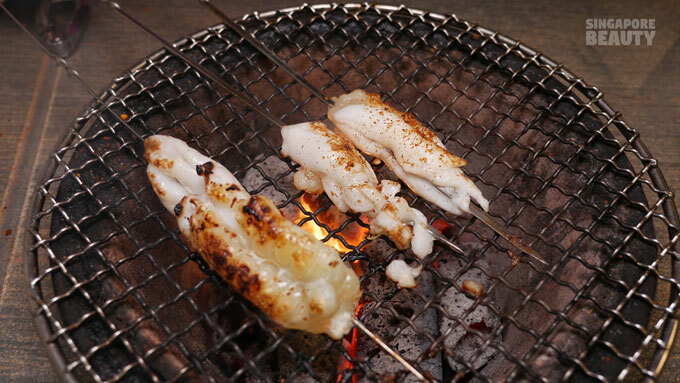 Best way to enjoy the squid egg is barbeque the sack of eggs till they are slightly char and crispy on the outside. Add a dash of salt with chilli flakes to flavour it. The squid egg textures are like gizzards-rich and buttery. 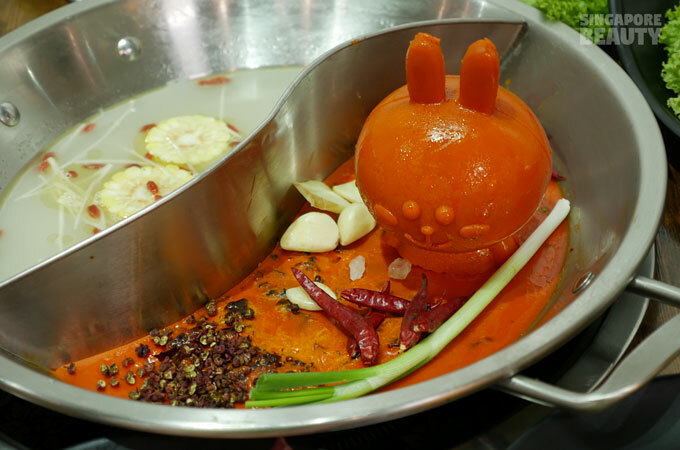 The crab roes are served in the mud crab shell like a pudding. Scoop the orangey goo – the crab buttery roe from the inner shell and enjoy your roe feast. The roe is buttery, custardy and taste like caviar. It also has a briny taste to it liken to that of a sea urchin. 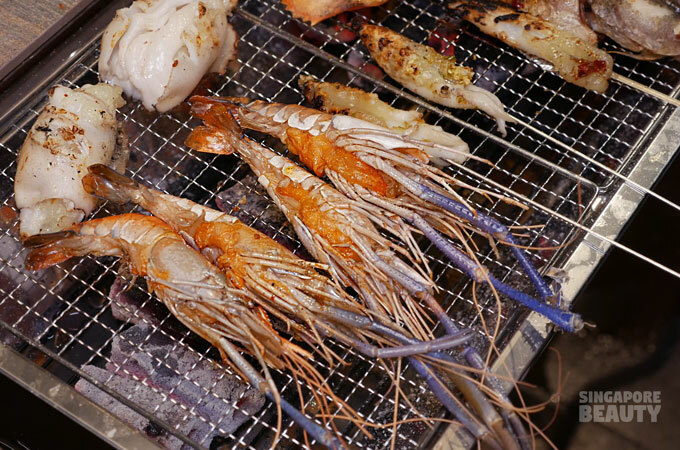 Or you can dunk them into New Thai Tanic’s homemade signature Thai seafood sauce. 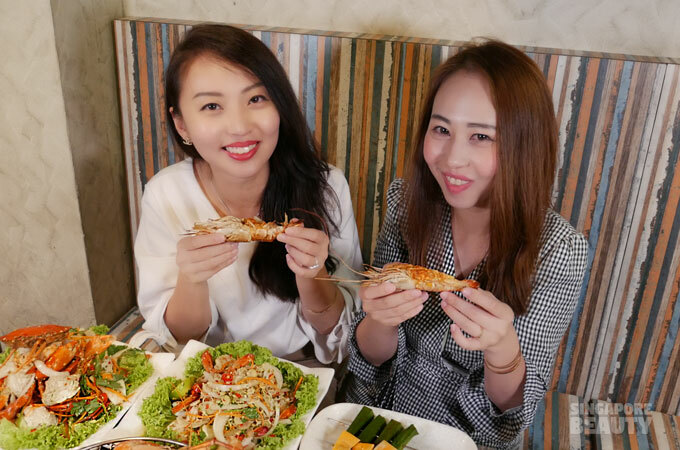 New Thai Tanic’s homemade signature Thai seafood sauce is one of the must-try sauce to go with the barbeque meat. This spicy sauce packs a punch with a tangy and sweet aftertaste. 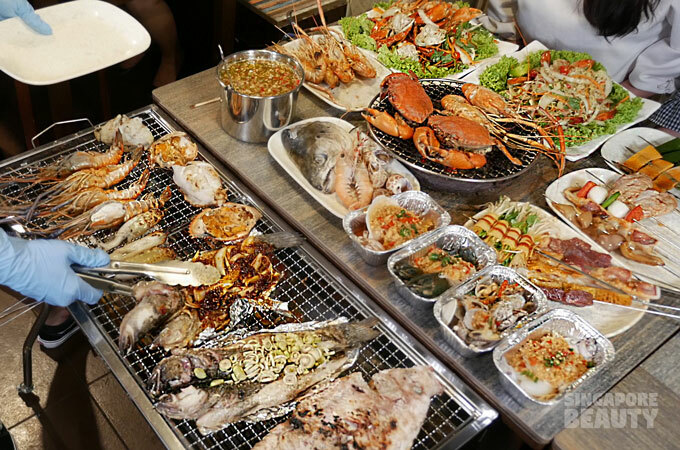 Recommended as a dip for both seafood and meat. 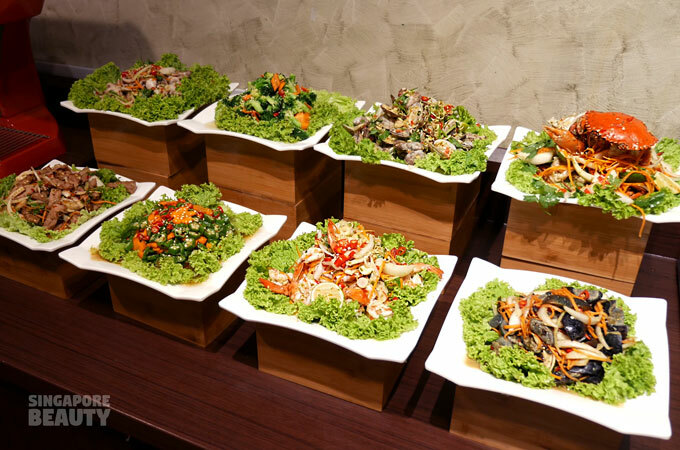 8 new salad and appetizers will also be introduced into the buffet. 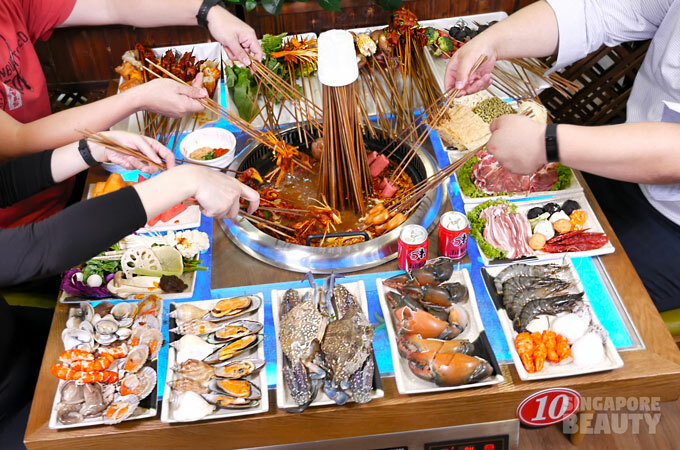 Salad & starter spread – These salad are century egg, okra, broccoli, mud crab, flower clams, beef, prawn and baby octopus salad. Loaded with shredded carrots, mango, cilantros, Thai lime, and bird eye chilli. 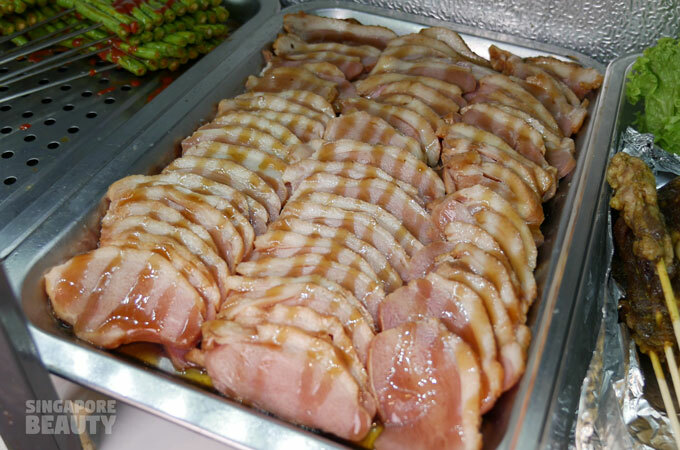 Refreshing and light, great as starters before your barbeque. 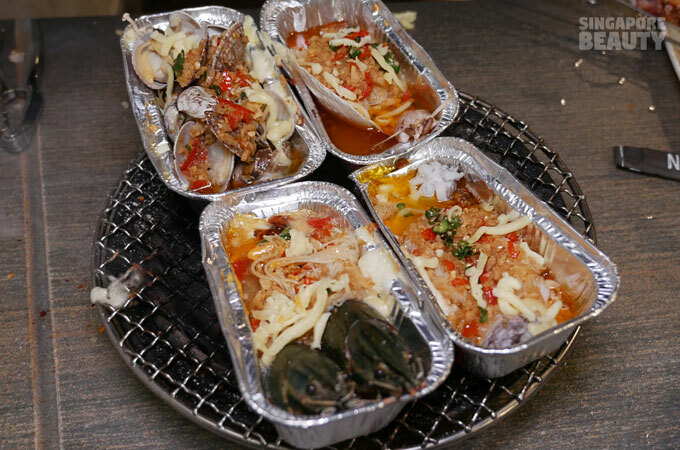 Chilled Cabin – Free flow seafood in garlic and spicy chilli oil with beehoon to soak up the savoury gravy from the seafood. 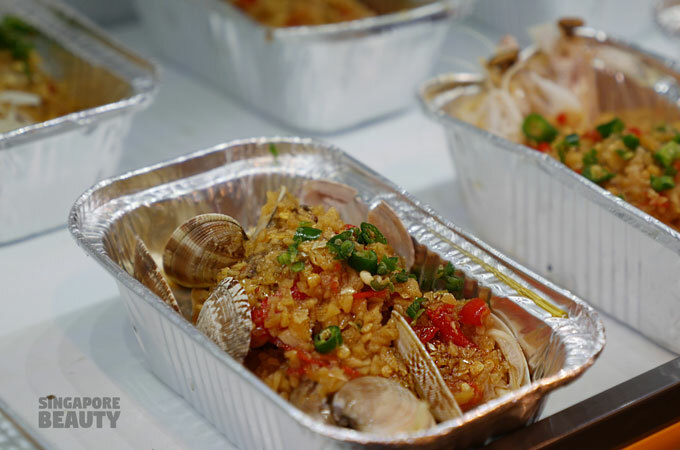 These are available in flower clams, bamboo clams, scallops, mantis prawn, squid, mussels and crawfish. Top these off with cheese and Nacho cheese for an added dimension in texture. Creamy and stretchy cheese with crunchy seafood. 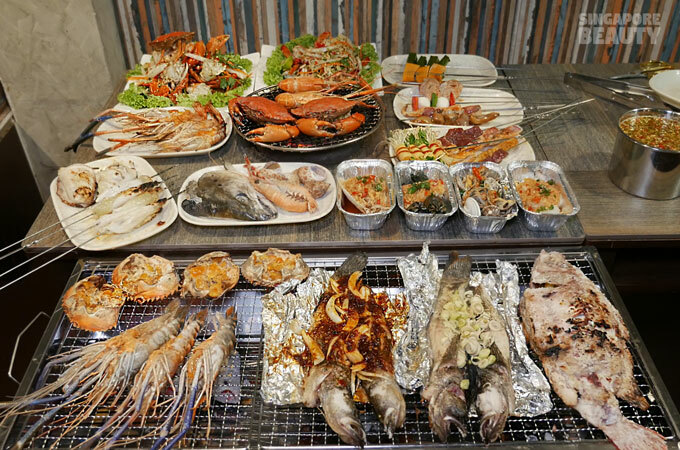 More choices for the barbeque from the full height chilled cabin. 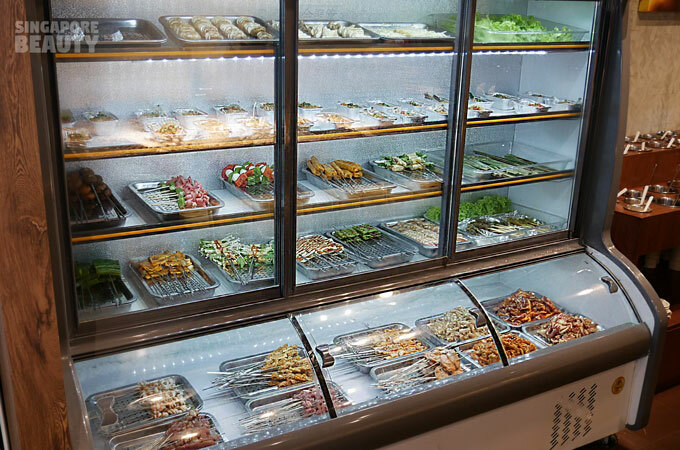 Prepared daily by the in-house chef. 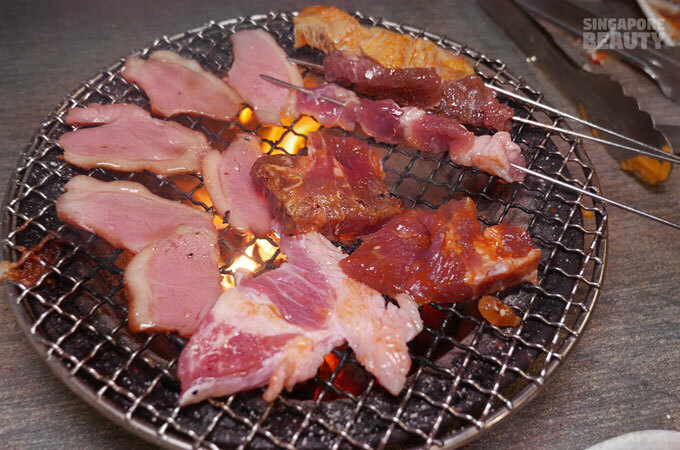 Skewered meat, skewered greens on hygienic food grade metal sticks. 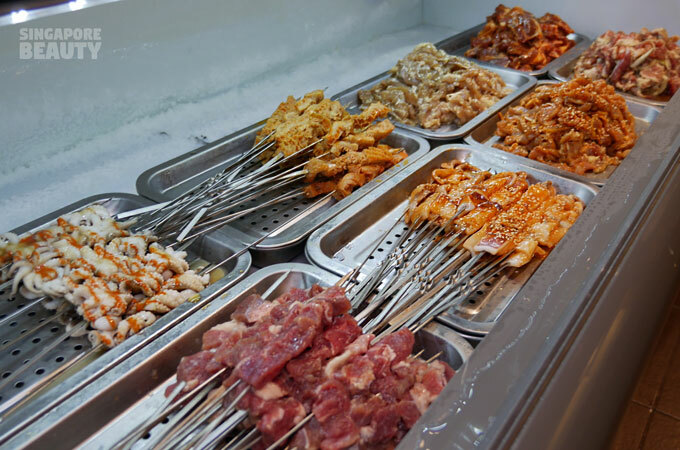 Marinated Beef cubes, squid, beef omasum, baby octopus are some of the chef recommended skewers to go for. 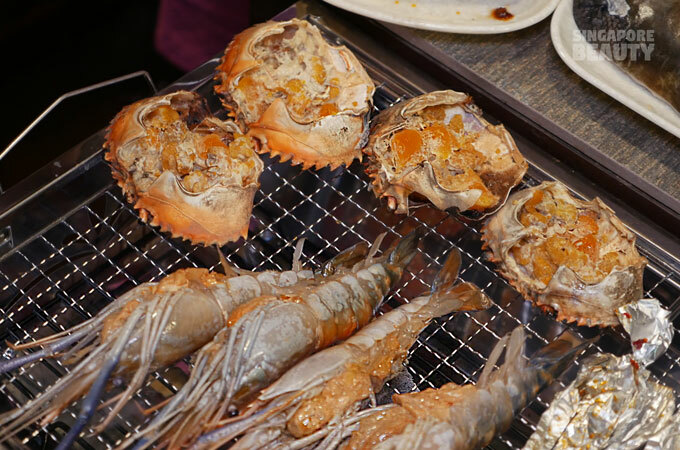 Barbeque these after you are done with the shelled seafood in low gentle white coal heat to get them cooked and still tender and juicy. 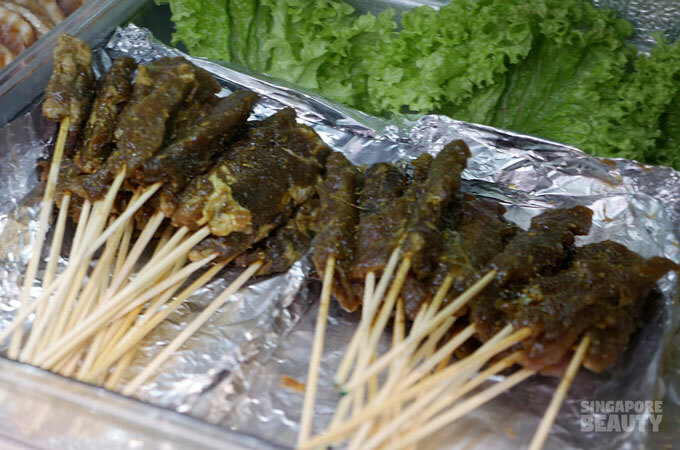 Local delights such as otah otah and satay (mutton, beef and chicken) are also available. Smoked duck tenders with sesame oil. 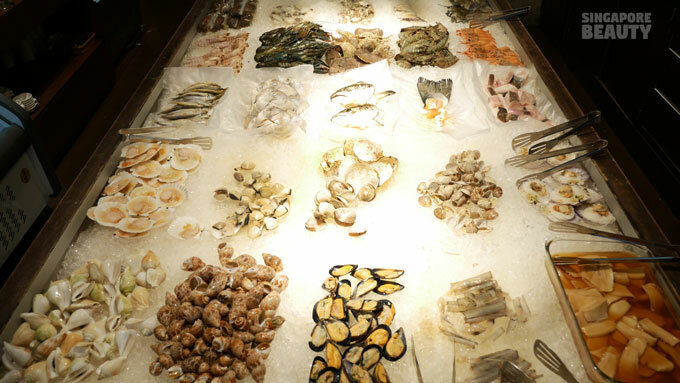 Not to forget the iced seafood bed where they have the catch from the ocean. 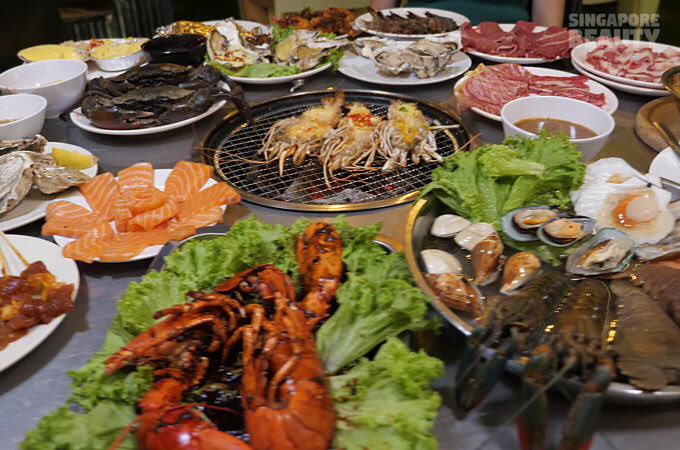 Abalone, bamboo clams, mussels, tiger conch, gong gong, scallops, white clams, flower clams, sting rays, salmons, salmon heads, pomfret, shishamo, soft shell crab, crawfish, slipper lobsters, tiger prawns, Norway lobsters, flower crabs, mantis prawns, squid, octopus and many more. 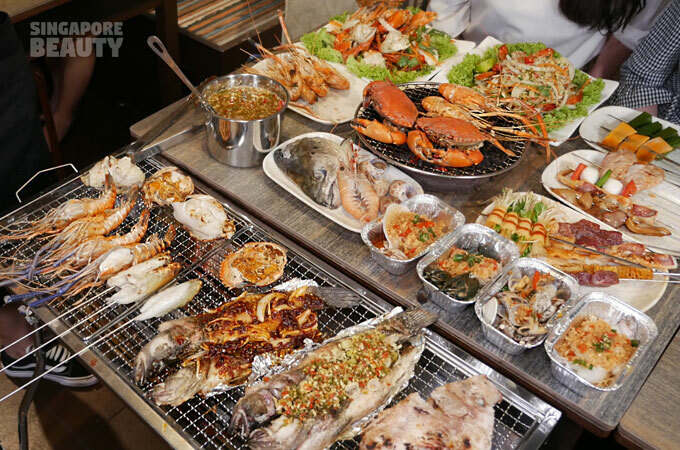 Live seafood are the mains here. 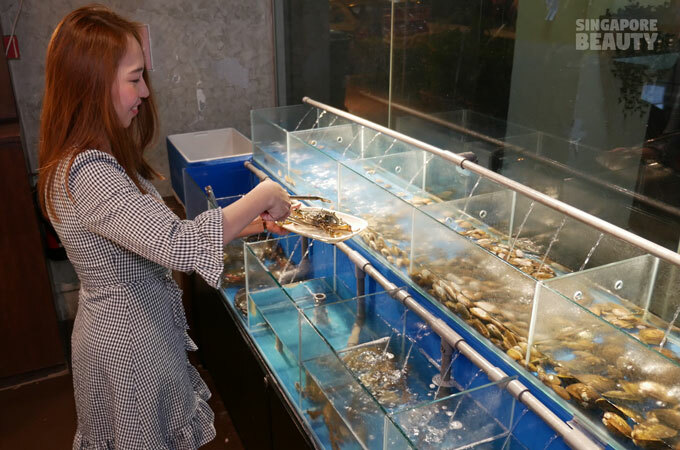 Catch your own live seafood from the tanks and ice them to stun them completely before bringing them back to the stove. 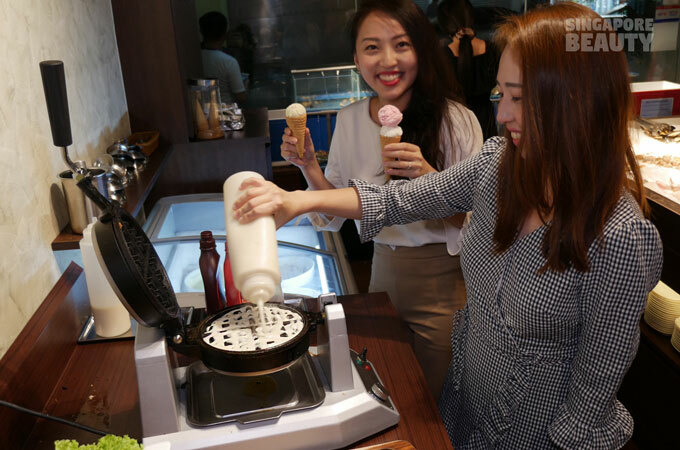 End your meal with the DIY Belgian waffles and ice cream. The must have desserts are the white coconut pudding at the fruits cabin. These white gems in a small jelly cups are made with coconut juice and pulps – great way to cool down after a hearty barbeque meal. 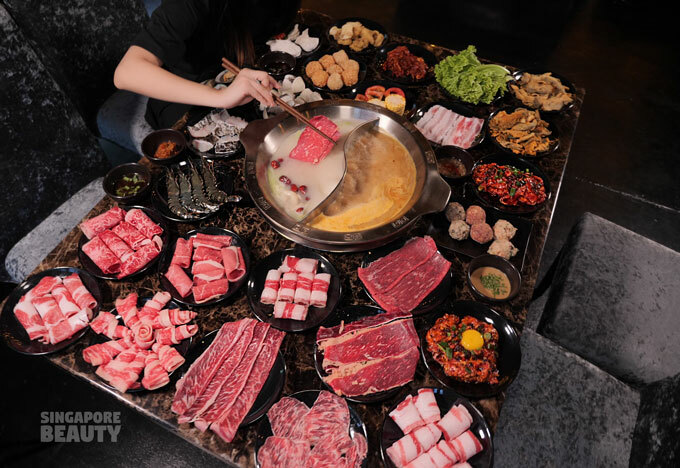 This feast is sure to keep your tummy happy and the variety is breath-taking. 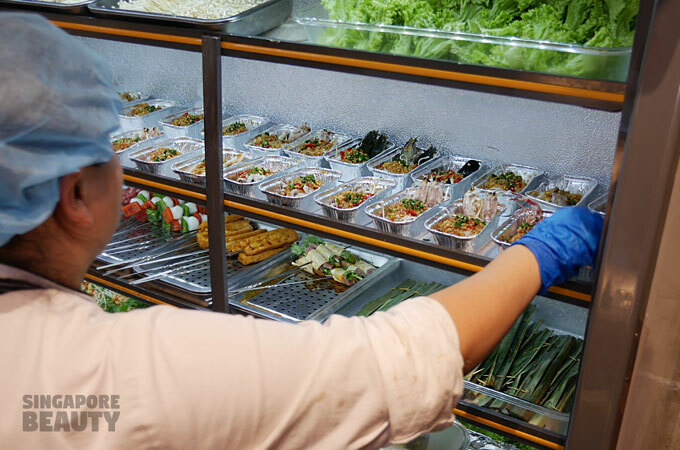 Head over to New Thai Tanic barbeque outlet today! 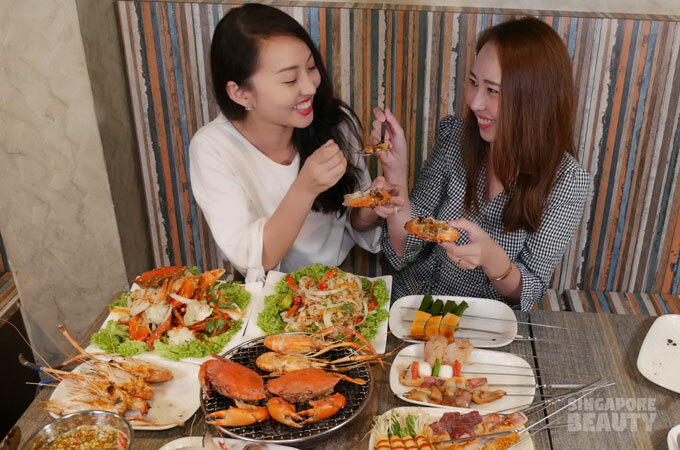 Dine in with your friend/family by wearing red or white top to get special discount! Fri, Sat, Sun, Eves & PH additional $3/pax. 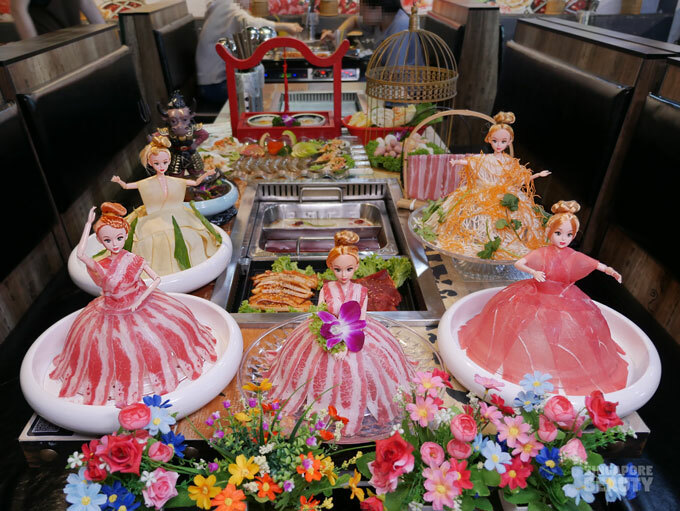 Note – this discount is only valid when everyone dine in with red or white top. If you dont wear red or white, you will only get 10% discount. Kids(age12 and below) between 1.1m and 1.4m is entitled to 50% off. 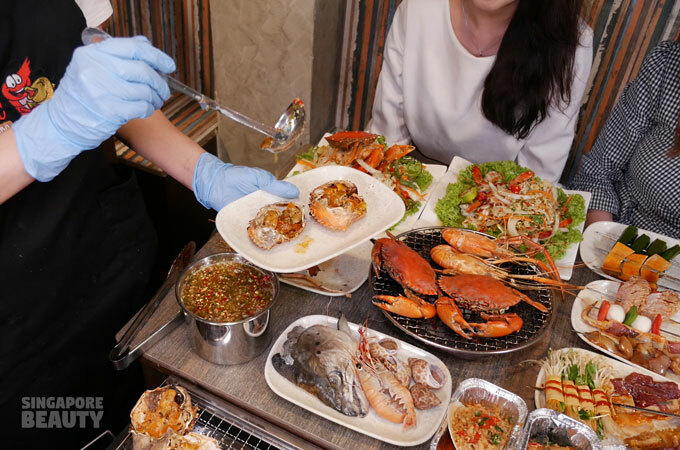 Free-flow hourly special serve-to-table bbq seafood such as sambal stingray, samba sotong, crab roe with shell, river prawn with roe, squid egg, Pla Pao(salt crusted grilled fish) & seabass with thai herb. Note* Selected item depending on menu of the day. 1 for 1 beer promotion till 31st August 2018 whilst stocks last!